Success means different things to different people, but no matter what it means to you, success takes a lot of hard work and grit. Successful women don’t just wake up one day with everything in the palm of their hands; they have to shed blood, sweat, and tears to achieve their goals. Successful people usually have a few habits in common that they practice to get results. 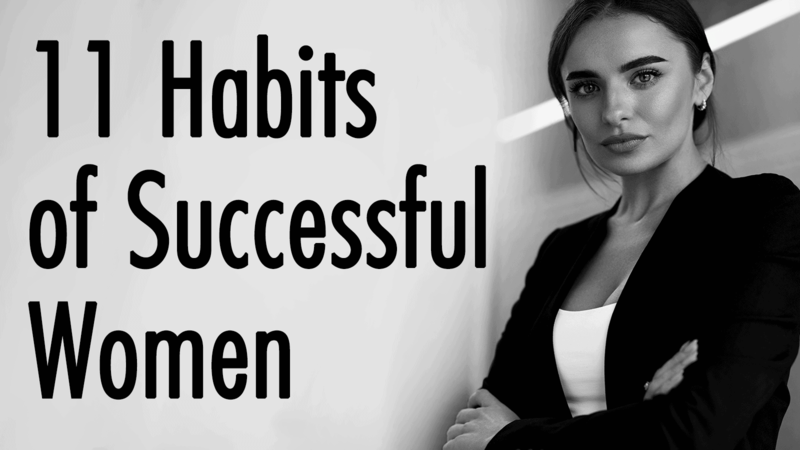 If you want to see more abundance in your own life, follow these habits of successful women. Successful women know that knowledge is power. This doesn’t just mean knowledge you gain from school; it means real life knowledge as well. Women who succeed take time to learn about finance, business, the stock market, and other important facts of becoming successful. They spend a lot of their free time learning, because the more knowledge they have, the more they can leverage that in their own lives to achieve their dreams. 2.They set goals and try their best to meet them. Successful women try their best to achieve their goals, no matter how big or small. Of course, most women start with smaller goals first, and once they have followed through with those, they tackle the bigger goals. Goal setting is important in any woman’s life, because it gives her a sense of direction and purpose. Once they reach their goals, successful women make time to celebrate as well, because they worked hard to turn their dreams into reality. 3. Successful women stay organized. Before you do anything, you must get organized; a cluttered workspace leads to a cluttered mind, and you won’t be able to see your goals clearly that way. 4. They have a support system. Even the strongest women can get overwhelmed by life at times; balancing all the responsibilities and chores can take a toll on one’s mental health sometimes. However, successful women stay connected to the family and friends who care about them and who can help them manage that stress. 5. They have a routine. 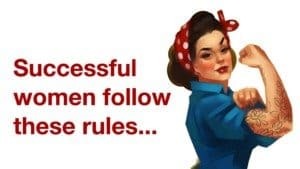 Successful women make sure to keep work separate from playtime. In other words, they have set times during the day that they work, and once they’re finished, they have time to do other things that are important to them. They know exactly when they will hit the gym, go grocery shopping, meet up with friends, etc. Having a schedule is an important factor in success because it will give you a blueprint of what your day ahead will look like, which will help you stick to your goals. Even if they fail at something, successful women will keep striving toward their goals. They know that failure is an essential part of growth, because without it, they wouldn’t learn from their mistakes. Because failure doesn’t hold them back in life, they constantly set the bar higher for themselves; getting better at things brings happiness to their soul. 7. They make time for themselves. Even the workaholics among us need time to decompress and relax. So, successful women make sure to pencil time for themselves into their schedule. Whether that means yoga, meditation, biking, coloring, or drawing, successful women always make self-love and care a priority. 8. Successful women try new things. Even if it means going to a new place for lunch or taking a new route to work, women who achieve their goals like to shake things up and keep life interesting somehow. They know that variety is the spice of life, so once things start feeling mundane, they take that as their cue to think outside the box a bit. 9. They don’t compare themselves to others. 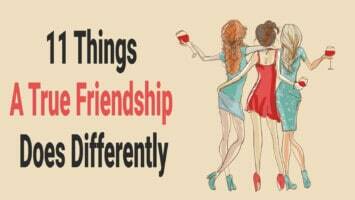 Instead of seeing other women as competition, successful women view them as potential friends and business partners. They know their worth and don’t see the point in comparing themselves to others. They view other women as their equals and stay in their own lane, using positive thinking as a key tool to keep their self-esteem high. 10. They help others and share kindness. The most prosperous women know that when they lift everyone else up, the whole team wins instead of just one person. Successful women know that to get ahead in life, they will need others to help them. So, they make a point to extend a helping hand to others as much as possible, because those same people might just return the favor someday. 11. Successful women smile even through the bad times. Not every day will be a good one, but that doesn’t mean you can’t find the silver lining in the turmoil. Successful women try their best to maintain a positive attitude, because a healthy mindset is key to achieving their goals.